Our Volunteer Staff comes to your school with a custom curriculum to address your group’s specific needs. Let us come to you! We can help your organization or team reach a higher level of teamwork, help initiate better communication or help set goals for the school year. Just tell us what leadership concepts your group needs the most help with, and we’ll curate a set of activities from our vast curriculum archive to specifically address those needs. 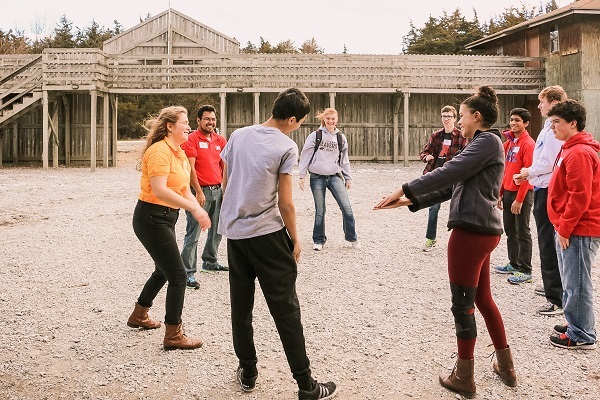 Whether your group struggles to communicate, needs help getting organized or wants to learn how to better respect each other, our experienced volunteer staff will build the day around you. We can help out for a few hours on an afternoon or plan an all-day retreat for your organization or team. Contact our One-Day Workshop chairs and we can work with you to work with your students at your next event.